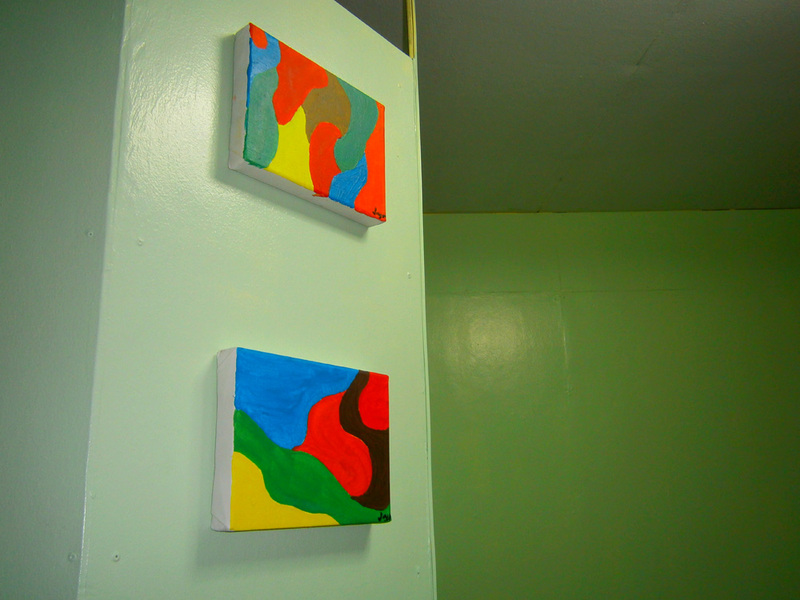 Still, a bunch of new paintings still could not fill the void (imagine the irony of that word, given that our unit was just around 12sqm!) and we needed at least a table and a closet, because we’ve been eating on the kitchen counter and our clothes were still inside our bags. It was like being in vacation again, but it has to eventually stop. We’ve got nothing planned for the Friday morning. 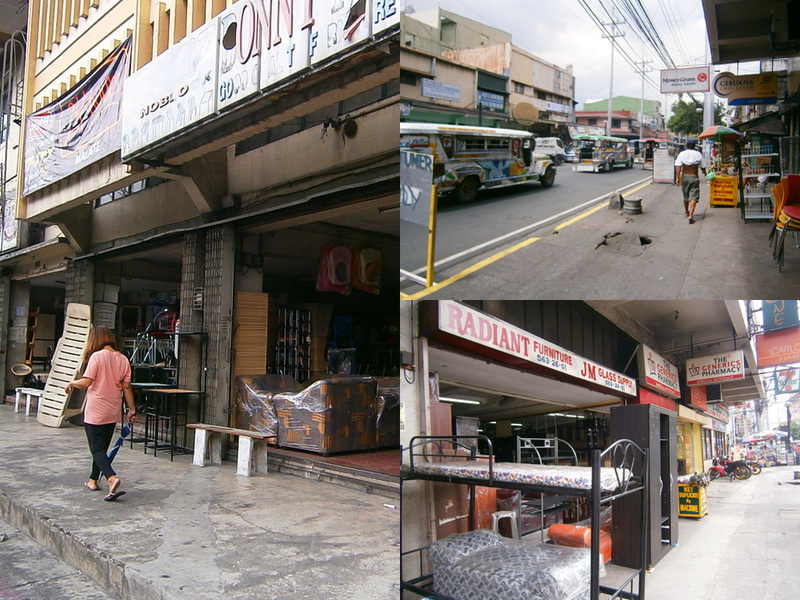 so we decided to visit Paco, Manila to find reasonably priced pieces of furniture! My kuya has advised me last week that if we were to buy items for our apartment, we should check out Paco because most department stores in Metro Manila get their items from furniture stores in the area. I have never been there before, and I did my part by searching for specific directions online. I was happy to read that the jeepneys with the route going there pass by J.P. Rizal, which was just a a 5-minute walk from our street. We took the “PACO TAFT HERRAN” one, and paid Php 10. 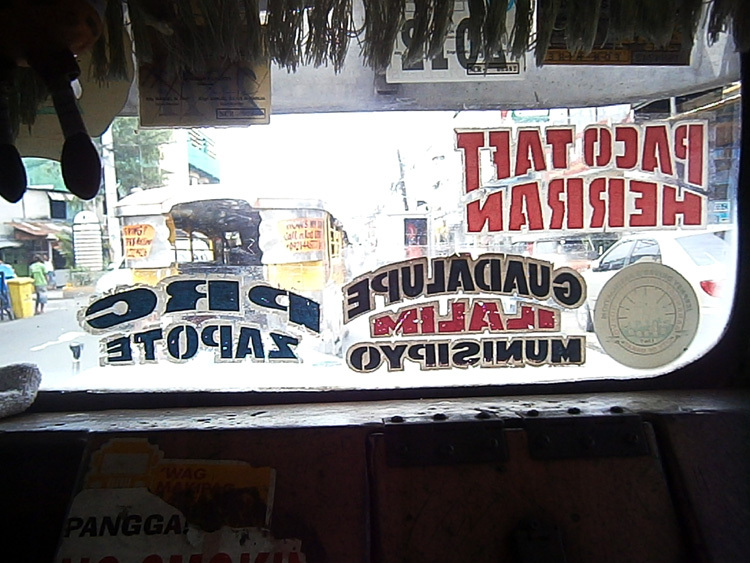 I just said “Pedro Gil” to the driver, though I was pretty sure that it was not the exact place. I was trying to be as vague as possible because I also had no idea where to disembark, while I was closely inspecting my BlackBerry Maps. To be honest, the newness of the place almost got us lost a bit because I panicked when the jeepney crossed a major road, like it was full of big, ten-wheeler trucks, that I thought we were leaving Metro Manila already. We got off at a street whose name I could no longer remember and was about to hail a cab, when we agreed to first ask the first person we see for directions. A lady, who looked like she was already late for work, kindly informed us that it was the street next to where we were at that time. Walking a block away from that place, I saw a church, which I assumed to be the Paco Church, which will coincidentally be the church where my brother will get married in this October. We went to the first store we saw, located in the corner of Merced Street and Pedro Gil. Hearing the price of every piece was enough to convince me that they were really way cheaper than SM and Landmark, or even those listed online on Sulit.com.ph. I saw a white, two-door closet at 3,000, but there were no other pieces that were of interest to us. We were hoping to buy all that we needed from a single store, because we might get more discounts and save on shipping as well. We were about to pick two small cabinets and a table from one store, but as those items we’re “SALE items”, they only allow pick-up for them. Too bad because they could have waived that policy, but the staff just chose to stand her ground. Bye bye sales! … and they really meant before the day ends. They were delivered way past 7:00 PM, but it was better than not receiving the items on the same day. The only problem was that I advised the people delivering to let me know ahead of time if they were already in the area, as we still had to rush from the office to the apartment to open the door for them. But they just informed us when they were already in South Avenue, and we had to literally run from the office to where we could reach them in time before they leave. I would have liked if if they were white or another lighter color, but I don’t mind wenge either. 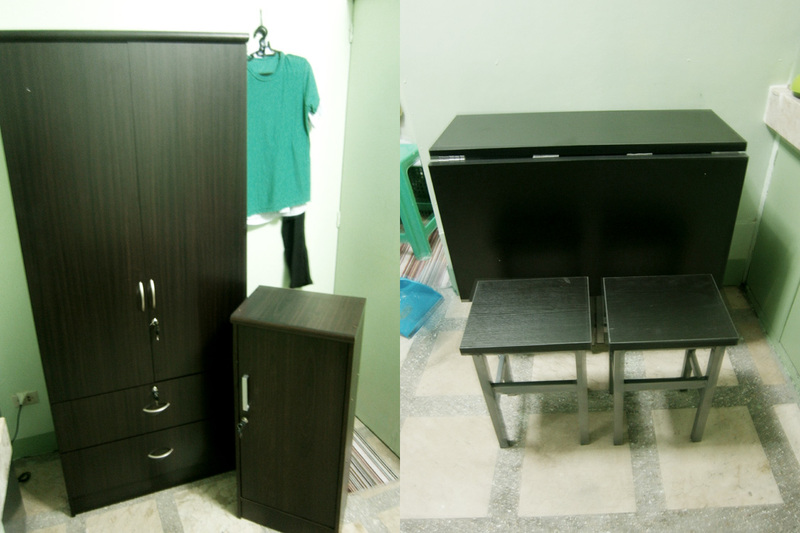 The closet was sold to us at Php 3,000, then the small cabinet for Php 1,200. We thought of getting a bar table with two chairs because of space constraints, and we were already about to get one from them (for Php 2,500 a set). But Mon saw this folding table, where its four stools can be kept at the sides. Hello space saver! When folded, it measures 15″ x 31.5″ x 30″, but when you unfold one side, it becomes a square table at 31.5″ each side, then unfolding the other side exposes a 31.5″ x 48″. At its biggest, it is exactly the same measurement of that space from the kitchen counter until the end of that wall where it was facing. Of course, we do not need that much space on a daily basis, as it looks like a console table standing alone, but who knows if we’ll need it in the future. The last price was at Php 4,500 and we really did our best to bring it down even a hundred but they were unyielding. On Sulit.com, I saw the same table for sale at Php 6,000, and a similar cabinet for Php 6,500. I did not see the small cabinet’s online price though, but considering that even if you can still haggle from that online store, we still paid a considerably lower amount in total from Bree n Bruce (I hope). To think that I almost asked somebody to have a custom made table at Php 7,000, it was a relief that I stopped myself from giving the go signal to the furniture maker. 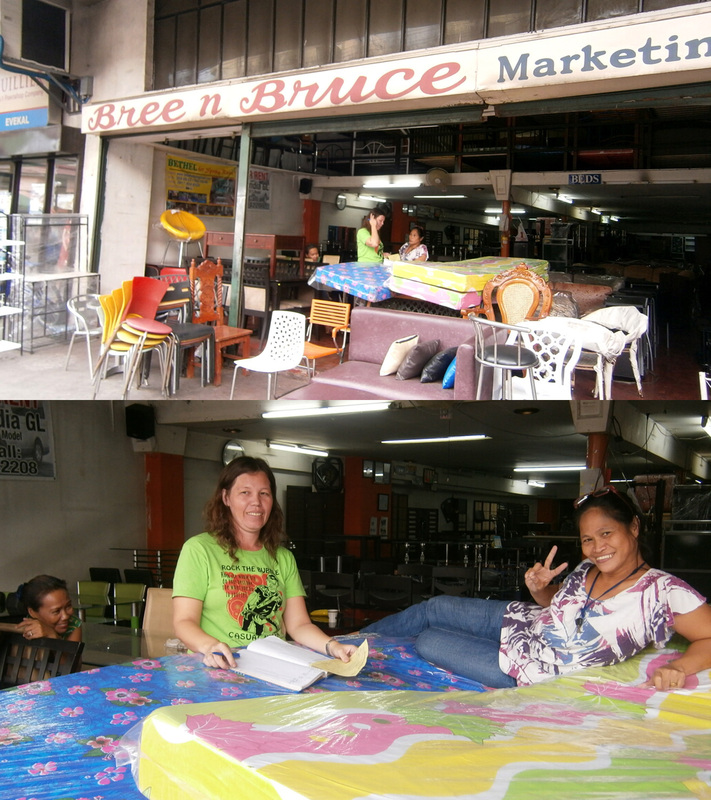 Anyway, you can contact Bree n Bruce Marketing at +632 353-9109, and look for Ate Regina. She was the lady in the middle of picture above. She was really helpful, as she constantly updated us about the delivery, especially regarding who to contact once the items were on the road. I’m so broke already, but at least we can now hang and store our clothes in the closet, and eat properly on a table! And goodbye May! I found this blog really helpful! 🙂 Thanks! Thank you so much! Your blog a great help to us and Judith at bree and bruce was very helpful! I have been browsing the net for affordable furniture for days and so far, everything I found were way beyond our budget. So glad I found this blog post. thanks for sharing! Hi thanks for this blog! Just wana ask if you have their cell number? I enjoy reading your blog. It’s interesting and your posts seem very candid. Here in the south of the metro, I see secondhand/surplus Korean and Japanese furniture shops and even dropped by 2 of those found just along the road along Alabang/Zapote road. They’re really cheap and nice too. I find this very helpful. I’m on a tight budget but I don’t want to buy a horrible looking Orocan closet. I’m glad I found this blog. I’m planning on going there next week. Thank you! Hi! yes you may call them to ask for the price. anyway, it is a stretch of furniture stores and you will surely find one. good luck! thanks for the tip! I’m on my way now a new sofa bed. Yay! Always happy to read that people got help from this kind of posts. Happy to help! I grew up in this area and this would be the best place to buy your furnitures especially if you are on a budget and this is like Banawe for cheap auto parts. You would spend hours on checking different stores and for low prices and a lot of barganing with the store owners/sales lady. I still buy furnitures here rather than SM/Home Central or Sogo Home Office and sometimes they offer to deliver your purchased items free of charge if near their area like Mandaluyong/Makati and etc. Wow! Thanks a lot! Big help. ? This is really a big help, thanks! But would you know a similar place near Cubao? Hi! I have no idea where near Cubao, unfortunately.